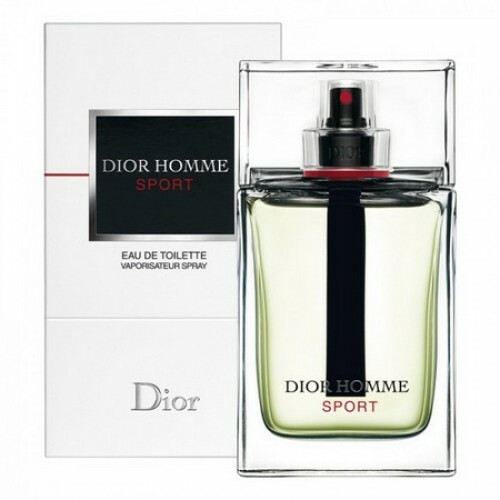 Christian Dior Homme Sport is a fresh citrus fragrance for men. Christian Dior Dior Homme Sport 100ml. Eau De Toilette is a very refined fragrance for men. This is a citrus fragrance woody, spicy tones, which is suitable for the warmer weather. New Dior would look youthful men who love the freshness, vigor and vitality. Dior Homme Sport 2012 is based on a distinctive freshness that you can feel as soon as you apply yourself to this unique masculine fragrance. Later gradually goes to the heart, which is more tuned into an elegant inspiration and ends in the arms dry woody accords. Sure to delight and amazing stamina perfume. Favorite fashion designer Christian Dior has chosen for this delicate mix of fruit, spices and precious woods interesting packaging. Bottle has an unconventional design, is made of crystal clear glass and has a simple rectangular shapes. Box also represents simplicity, elegance and style. Dior Homme Sport 2012 will be completely removed on you and on your shelf with cosmetics. The first hints of perfume from Dior are very fresh and juicy. You can taste slightly bitter grapefruit and sparkly orange with a hint of rosemary and pleasant small dose distinctive bergamot. Very delicate hearts inhabit the sunlit resin together with a slightly pungent ginger and elegant lavender. Seductive base of warm sandalwood, dry cedar and earthy vetiver round off this fruity-spicy song finest ingredients from around the world. Mark French timeless quality and luxury, Christian Dior, manufactures perfumes always stylish, full of intoxicating notes of flowers and charm. You can choose from countless that on our website you will always find the lowest prices on the market. Who tasted brand Christian Dior, though lived! Christian Dior Dior Homme Sport 2012 is a fragrance for all men do not like to make compromises. If you want a perfume that is useful to active work, at work, with friends, with his girlfriend in his free time and rest, Dior Homme Sport 2012 will be the perfect complement to your person!